The LIP-9070 has the technological innovation of an IP Desktop phone and the growth of improved Graphic User Interface(GUI) providing a new end-user experience. 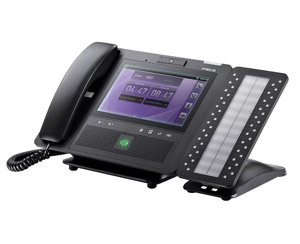 Ericsson-LG LIP-9070 IP Phone is a premium desktop video phone with multi-touch user interface. You can easily make one-to-one video calls with colleagues over the phone and enjoy new experience of various media.